Shangri-La Hotel Guangzhou official site! Best price guarantee! Guangzhou is China's well-known city of commerce and trade, which enchants each and every visitor with its rich history. 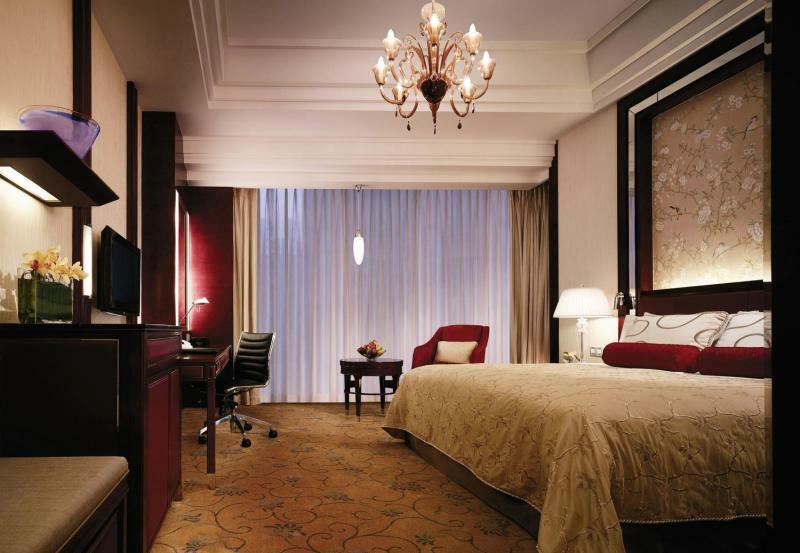 But before you head out to explore the city, you first check into the Shangri-La Hotel Guangzhou, where you will find yourself in peace away from the hustle and bustle of the city just outside. 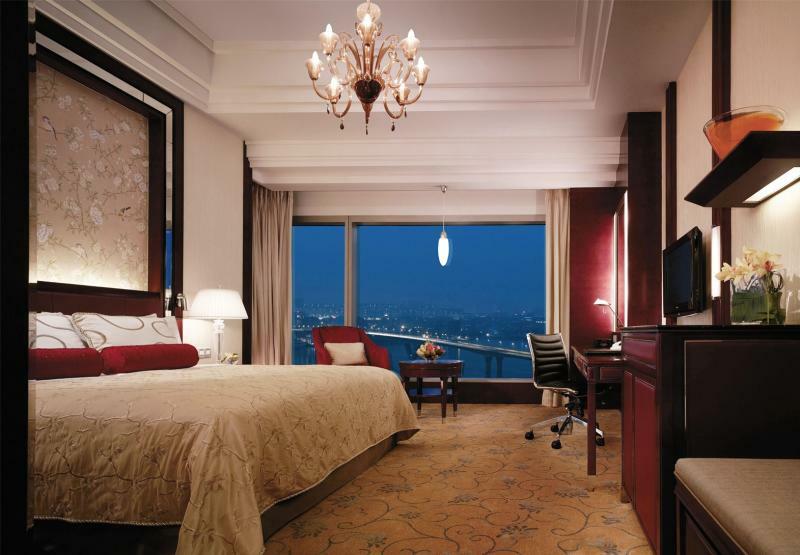 Calm sanctuary where lush greenery and water fountains surround Standing on the Pearl of the Sea – Haizhu Island Shangri-La Hotel Guangzhou overlooks the Pearl River. 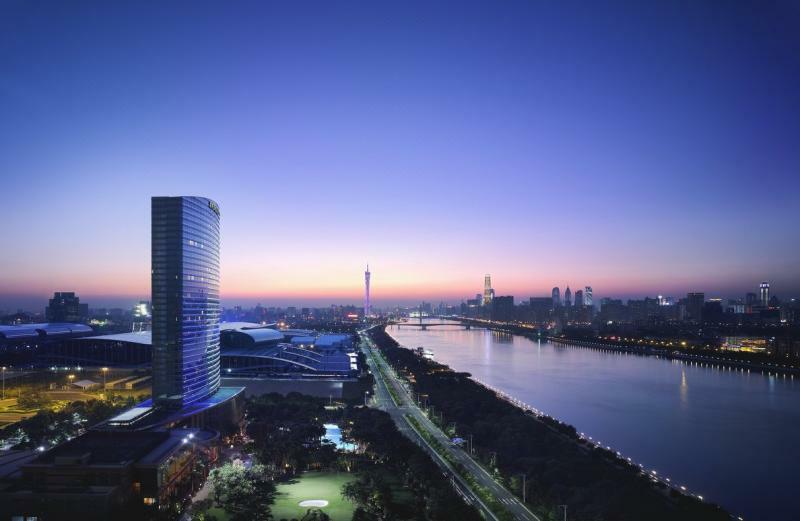 Nestled amidst 5,800 square meters of landscaped gardens with a 1,000-Square-metre outdoor pool and child-oriented facilities, merely 12 minutes by car from the City’s Green Heart Haizhu National Wetland Park, this luxury hotel provides a city oasis in Guangzhou for your pleasure and relaxation. The Shangri-La Hotel Guangzhou encompasses a landscape garden covered with subtropical plants, with a 1,000-Square-metre free form pool and a separate children’s pool. Besides the 2,000-Square-metre lawn, lotus pond with koi fish, the garden features slides, swing and many other children-oriented facilities. Family activities including Summer Camp, Easter Party, Music in the Park, and Winter Wonderland in the year render the hotel as an ideal urban resort. 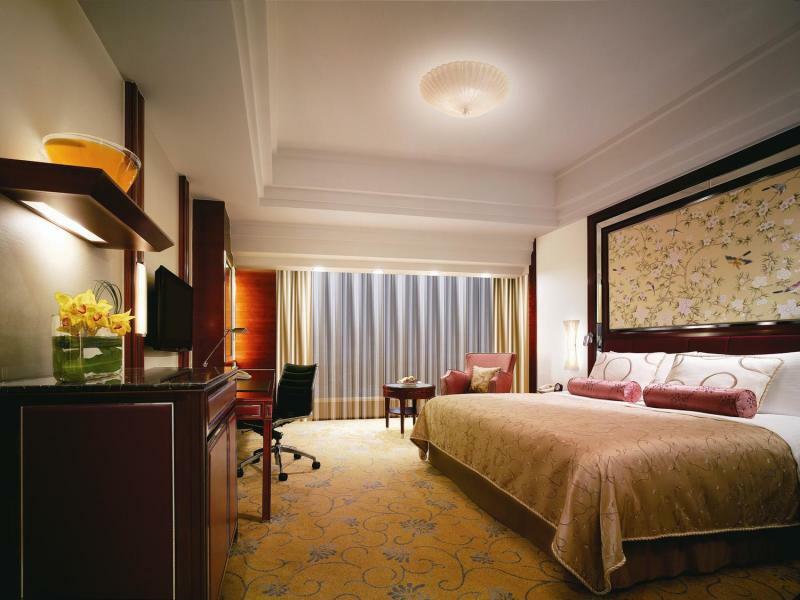 Shangri-La Hotel Guangzhou is strategically located in the prime location of Guangzhou's new business, in adjacency to Guangzhou International Convention Centre. 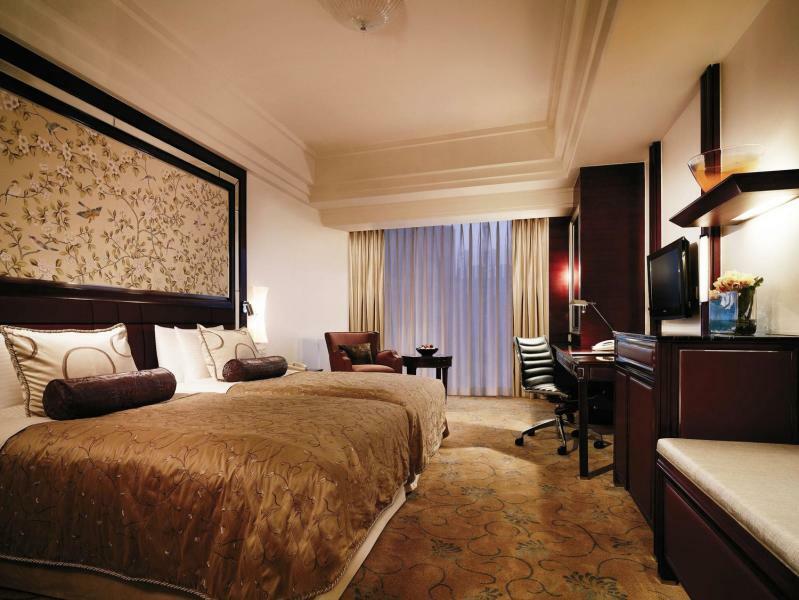 The Shangri-La Hotel Guangzhou offers courtesy shuttle bus service taking you to and from the city’s key locations including the East Railway Station, Party Peer, Taikoo Hui. The tram beside the hotel, shuttling Guangzhou’s most picturesque 8.8-kiolmetre scenery road, provides easy access to the landmarks along the Pearl River including the Canton Tower. As you explore the city by car, you will arrive at The International Grand City shopping mall in CBD; or in around half an hour, you can reach Chimelong Paradise where over 70 rides of amusement facilities and live performances embark you and your family on a new journey filled with fun and joy. From the Pazhou metro station which takes you 7 minutes by walk from the hotel, you will be directed to Guangzhou South Railway station. Whether you’re seeking local tastes or unexpected flavours, our six restaurants, lounge and bar, including two MICHELIN Plate award winners—Summer Palace and RIBS, bridge the gap between you and the culinary moment you aspire to experience. For those wishing to energize before a meeting or unwind after a long day, the Shangri-La Hotel Guangzhou offers fitness and wellness. Health Club on level four is a full-service club with a 24-hour gymnasium, a 15m x 30m heated indoor swimming pool as well as two full-size outdoor tennis court with night lighting. On the same floor located Shangri-La’s award-wining CHI, The Spa, where you will unwind in the sense of detachment from the outside world. The Spa offers 11 private treatment suites and a wide-ranging menu of therapies drawing on the traditional healing philosophies of Asia to rejuvenate the body and mind. 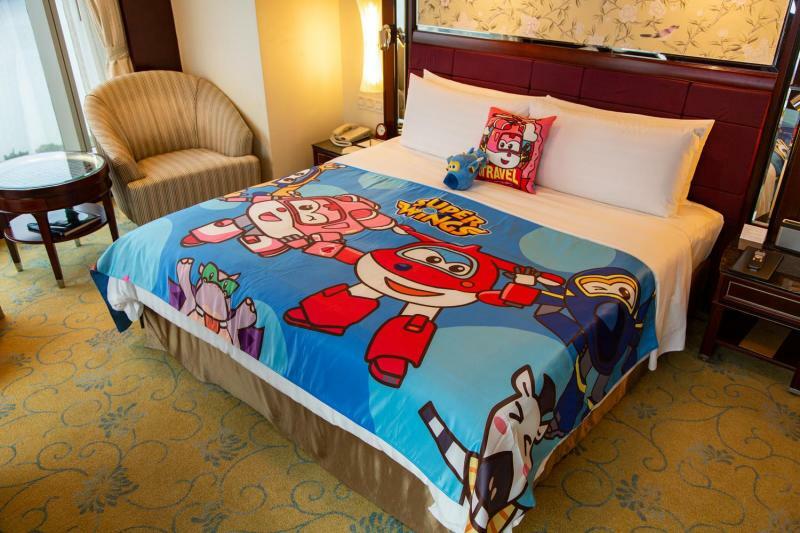 And the story continues with you, at Shangri-La Hotel, Guangzhou. The Shangri-La story began in 1971 with our first deluxe hotel in Singapore. Inspired by the legendary land featured in James Hilton's 1933 novel, Lost Horizon, the name Shangri-La encapsulates the serenity and service for which our hotels and resorts are renowned worldwide. 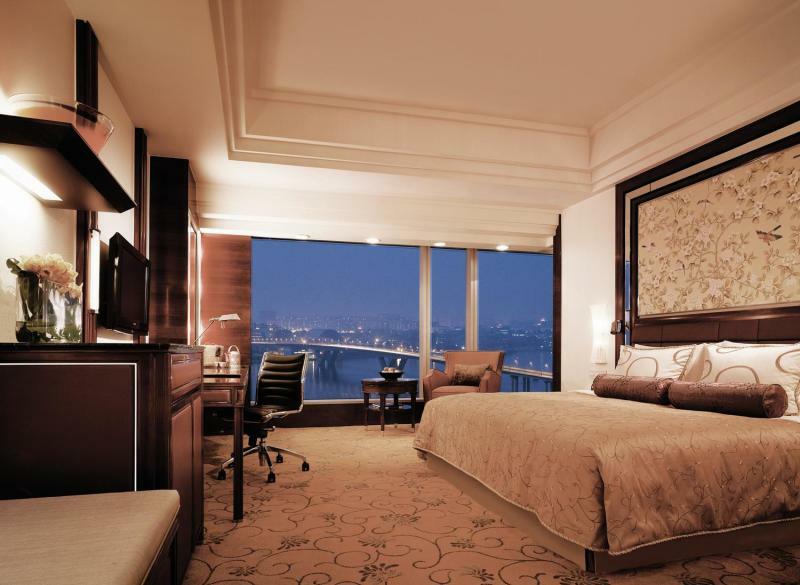 Today, Hong Kong-based Shangri-La Hotels and Resorts is Asia Pacific's leading luxury hotel group. We are also regarded as one of the world’s finest hotel ownership and management companies. 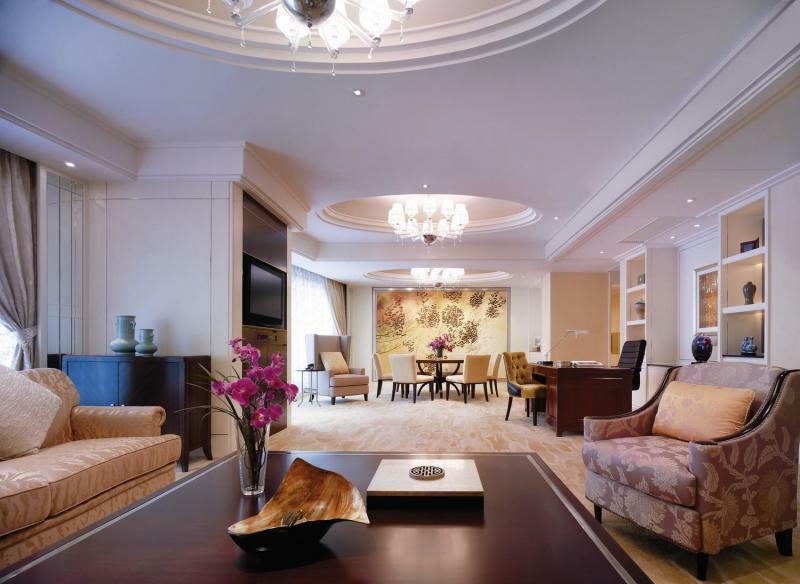 Owning and/or managing over 100 hotels and resorts throughout Asia Pacific, North America, the Middle East and Europe, the Shangri-La group has a room inventory of over 40,000. In addition, new hotels are under development in Australia, Bahrain, mainland China, Cambodia, Indonesia, Malaysia and Saudi Arabia.